CoCo And Twins: Boogie Outside The Box ! Boogie Outside The Box ! Boogie Wipes are soft saline wipes that will help to soften mucus and clean up little noses. These wipes are not just for kids, and not just for noses. You can clean up sticky hands and faces too. I love them as a mom when I bow my nose. Even my grandfather liked to use them when he was in the hospital on Oxygen. The tubing would make his nose dry and the wipes helped him too. I know some people might not like using a wet or moist wipe on their nose but once I tried it, I was hooked. Prize Pack will contain a random assortment of products. 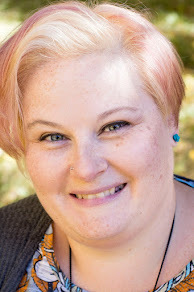 My team is holding a giveaway. 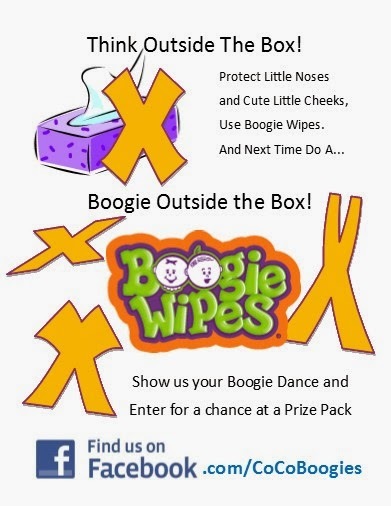 If you show us how you Think Outside The Box and use Boogie Wipes, you can win a prize pack of Boogie Wipe products. Show us how you Boogie and WIN!